All are welcome to the Institution of our new Rector. 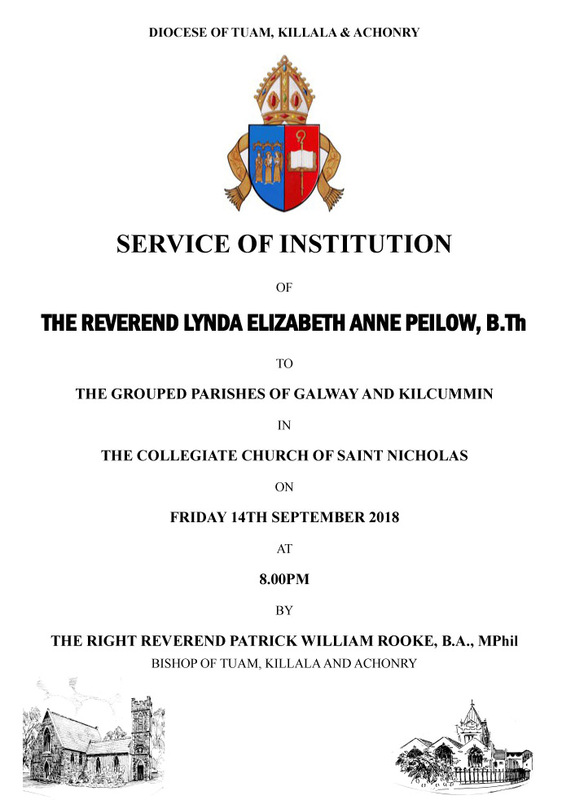 The Service of Institution of Canon Lynda E A Peilow to the grouped parishes of Galway and Kilcummin will take place in the Collegiate Church of St Nicholas on Friday 14th September 2018 at 8.00pm, by the Rt Revd Patrick W Rooke, Bishop of Tuam, Killala and Achonry. 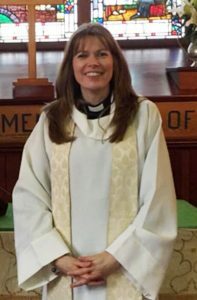 Canon Lynda joins us from Edenderry Union. She moves to the West along with husband Clive and their three children, Chloe, Peter & Amelie.